Professor Andrew Baildam trained in Surgical Oncology and then additionally breast plastic and reconstructive surgery before his appointment as Consultant Surgeon and Honorary Senior Lecturer in Surgical Oncology at the Christie Hospital in Manchester. Subsequently, Andrew was appointed to St Bartholomew's Hospital in London as the Professor of Breast and Oncoplastic Surgery, Queen Mary University of London. During his training, he took two years in London and Manchester to research the molecular biology of breast cancer, leading to a Doctoral Thesis. With a keen interest in the care of patients with genetic breast cancer and oncoplastic breast surgery, Andrew has over 180 peer reviewed publications, abstracts and chapters, and has innovated a number of approaches to breast cancer surgery. 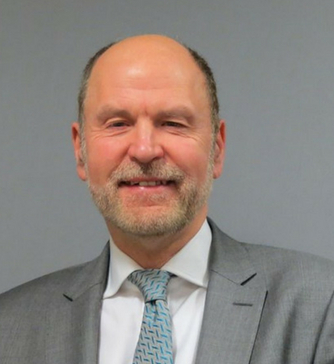 Andrew has also held several positions including being the past president of BASO (The Association of Cancer Surgery) and the Chair of the Royal College of Surgeons of England Cancer Surgery Committee. Notably, Andrew set up the cross specialty breast surgery oncoplastic fellowships in the UK, leading to a better-structured oncoplastic programme for surgical trainees. He is enthusiastic and passionate about the highest quality of care for patients and inspiring of trainees. Andrew is a member of BAPRAS (British Association of Plastic, Reconstructive and Aesthetic Surgery) as well as BASO and ABS (Association of Breast Surgery), and ESSO (European Society of Surgical Oncology). He has also chaired the BAPRAS-BASO Interspeciality committee for three years and continues to teach and lecture internationally.